Do you know what a Chinese rattle drum is? 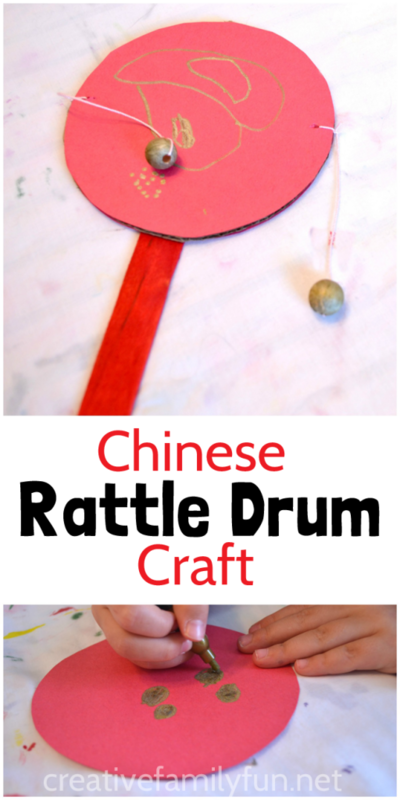 The rattle drum is a traditional Chinese toy that’s often found at festivals. I’ve always found that one of the best ways to teach my kids about another culture is by doing a craft. 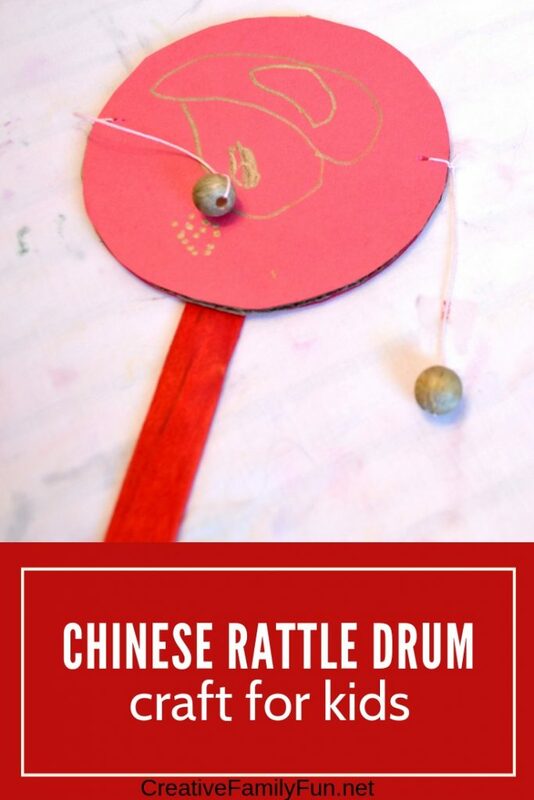 So we decided to make our own version of a Chinese rattle drum craft. 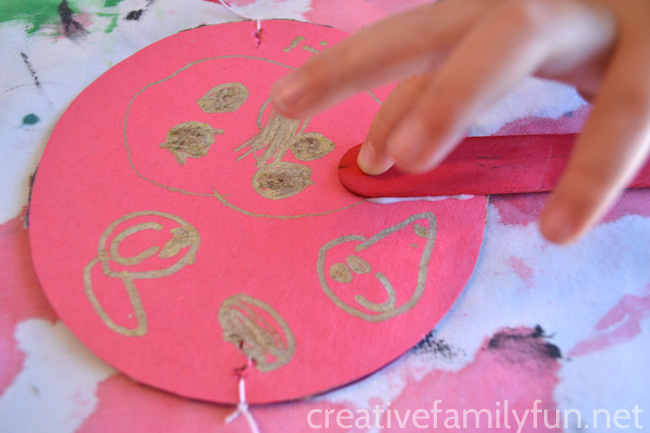 This kids craft version is fun to make and opens the door to discussions about Chinese culture and Chinese New Year. Keep reading and I’ll tell you how we made it. To start, I used the plastic sour cream lid to trace three circles. I traced one on the cardboard and two on the red construction paper. Then we cut them out. 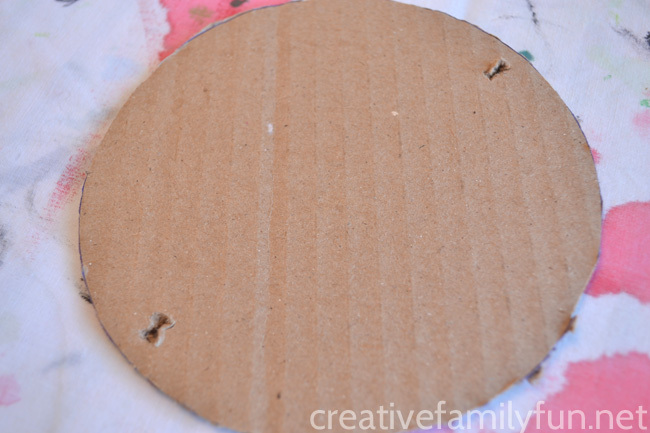 The cardboard is hard to cut, so an adult may want to tackle this part of the project. 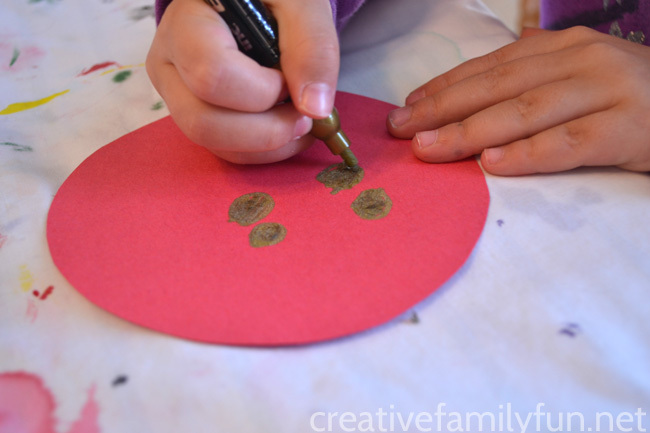 While I was cutting the cardboard, my preschooler decided to decorate the red circles with the gold paint pen. We talked about a few Chinese designs she could draw and she opted to decorate her drum with gold coins. They were joined later with a few friendly dragon faces. Meanwhile, my preschooler colored our beads with the gold pen. 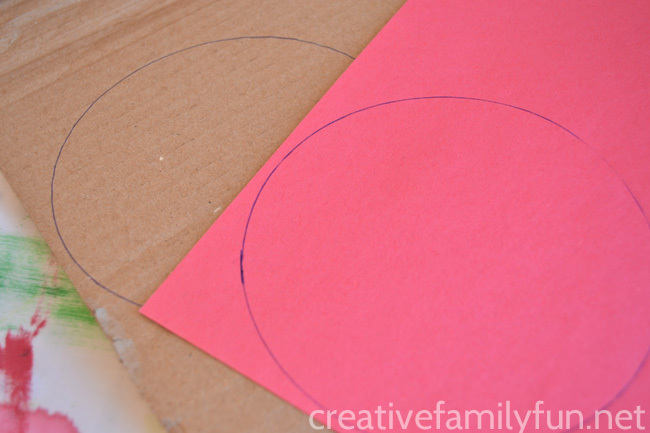 Once our decorating was finished, we glued a red circle to each side of the cardboard. 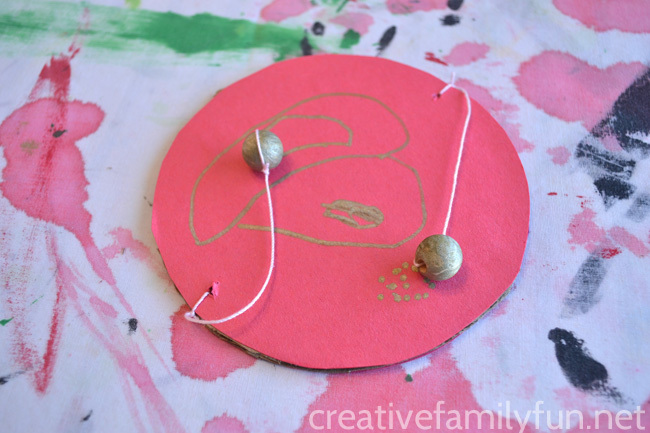 We then tied a bead to each string making sure your strings are short enough that your beads will hit your circles. To finish off our drum, we glued a large craft stick to the back of our drum. We happened to have a red craft stick, but any color will do. 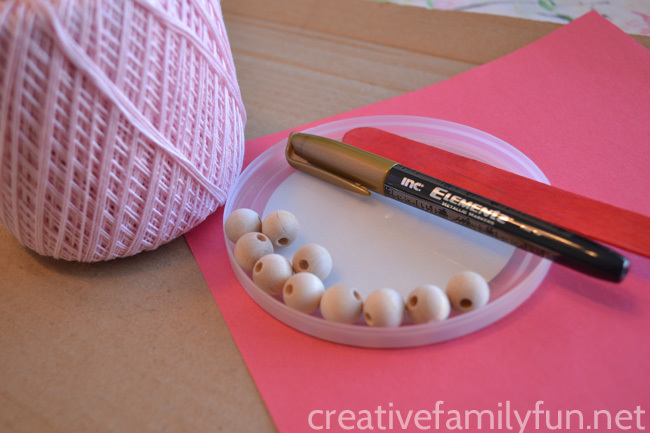 I also added a dot of glue to each knot. Without the glue, we had problems with our knots coming untied while we played with the drum. Once we added the glue, our knots have stayed strong. To play the drum, hold it by the stick and rotate your drum back and forth. The bead will swing up and hit your drum. Then, grab your sister (or brother or friend) and go dancing through the house! Would you like to do more activities with your kids?